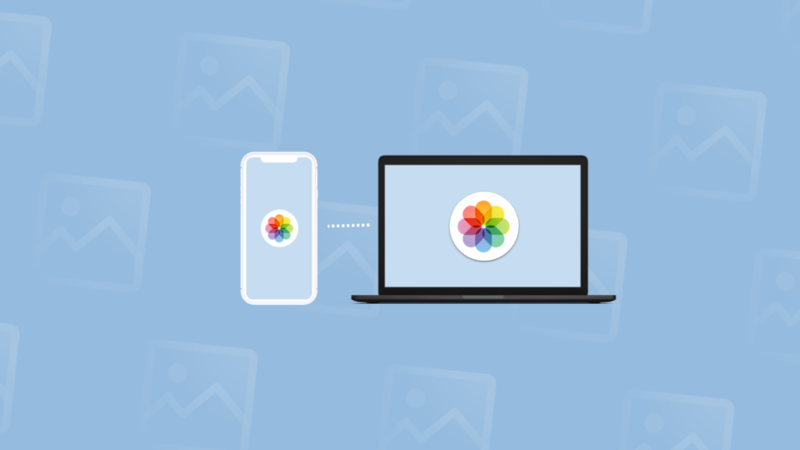 Transferring iPhone photos and videos to your Mac can save precious space on your mobile device. Plus, it’s easier to edit and retouch when you’ve got a larger screen with a higher resolution, not to mention that native Mac tools allow you to convert, resize, and organize your images in no time. In this article, we’ll cover the three quickest ways to transfer your images over. Although Macs have more storage than iPhones, that storage is not infinite, so you might want to avoid dumping thousands of unneeded pics onto your Mac. We’re talking blurry party selfies, multiple shots of the same sunset, taken just seconds apart, long-forgotten screenshots of long-forgotten conversations — those can add up to a few gigabytes. So before you start the transfer, scan your iPhone pics with Gemini Photos: Gallery Cleaner. 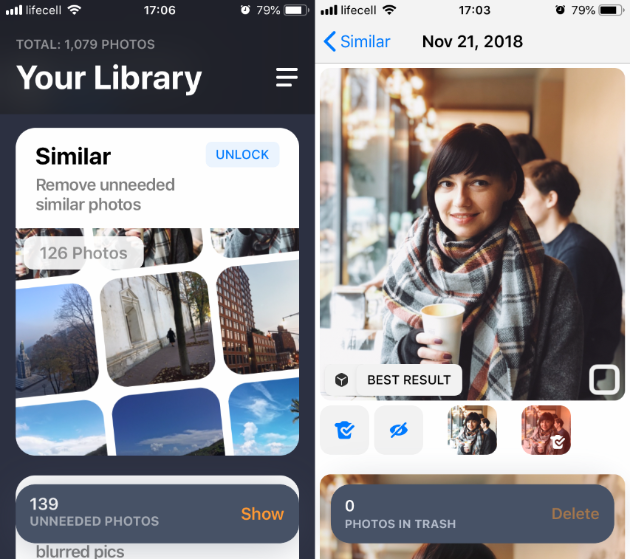 This app will find all the clutter you’ve accumulated over the years, such as similar shots and blurry photos, and help you delete them in no time. Now that you’ve done that, here are our top three ways to transfer photos and videos. One of the quickest methods is to plug the Lightning-to-USB cable you use to charge the iPhone into one of your Mac’s USB ports. 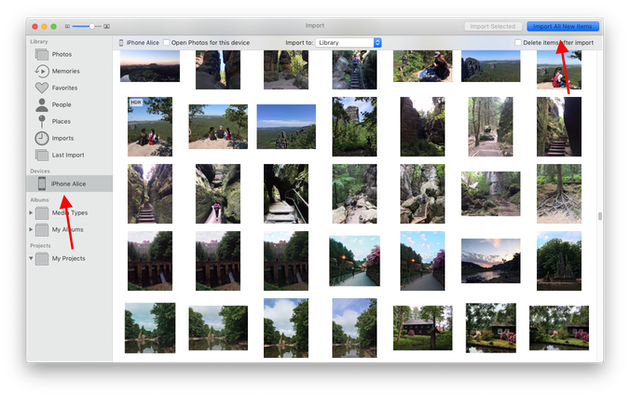 When an iPhone is connected, the macOS Photos app automatically opens and suggests importing your photos. Here’s the import process, step by step. The Photos app should load and show you the images from your iPhone in the main window. If that doesn't happen, select your iPhone from the left-hand menu in the Photos app. Now you’ll see all of the images and videos stored in your iPhone’s Camera Roll. Once the import is complete, you can ask Photos to automatically delete the pics on your iPhone, giving you space to start again and take even more pictures. Some of your iPhone photos may already be in the Photos app on Mac, because you imported them earlier. If two pics are exactly the same, Photos will ask you whether you want to import a duplicate. But if the copy on your Mac has been edited or renamed, it won’t be detected. To check if you’ve created any duplicates in your Photos Library, scan it with Gemini 2. This Mac app detects duplicate and even similar photos and lets you delete them with a click. Download it for free and give your photo library a checkup. Another way to move photos from an iPhone to a Mac is with iCloud. iCloud Photo Library, a.k.a. iCloud Photos, can do all the heavy lifting. However, if you’ve got over 5GB of photos and videos, you’ll need to upgrade your storage plan, paying anything from $0.99 per month for 50GB to $9.99 for 2TB of cloud storage. Provided you’ve followed both series of steps and both your devices are using the same Apple ID, your photos and videos will automatically sync between iPhone and Mac. 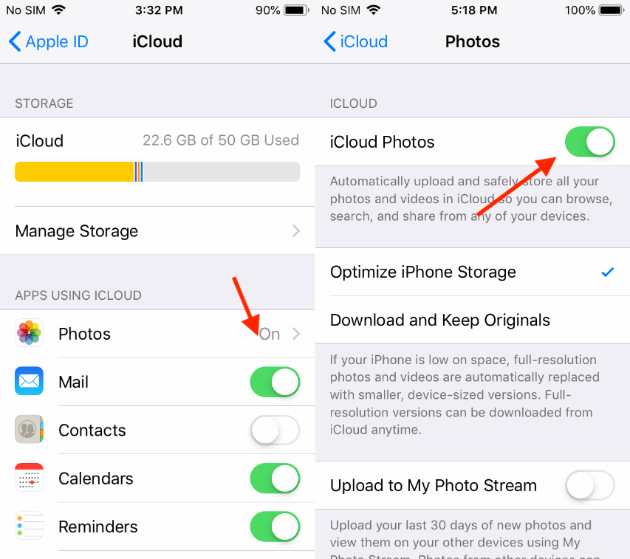 Remember: while you have iCloud Photo Library on, any changes you make to photos on one device will automatically sync to the other. So if you want to delete them on your iPhone and keep them on your Mac, switch off the sync after you’ve transferred everything. 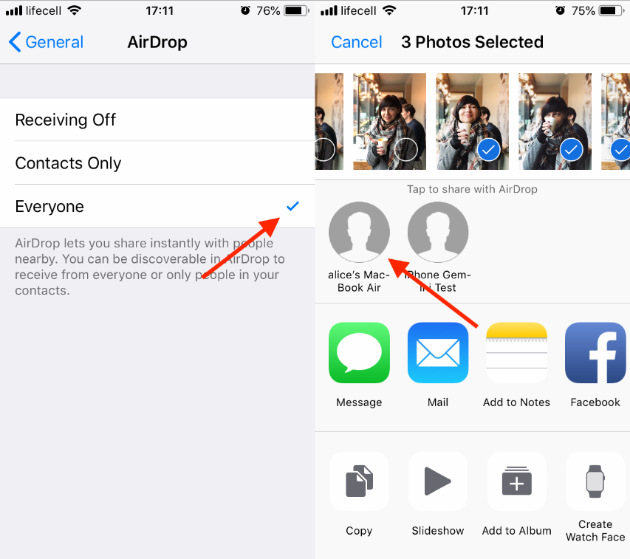 Another way to get your images over to your Mac is using AirDrop. Start by switching AirDrop on your iPhone. Below this icon is a dropdown. Click on it and select Everyone. Give both devices a few moments to find one another. On your Mac you’ll see a pop-up window asking you to accept the photos. Click Accept. Depending on your Mac’s settings, you may be asked where you want to save the photos. 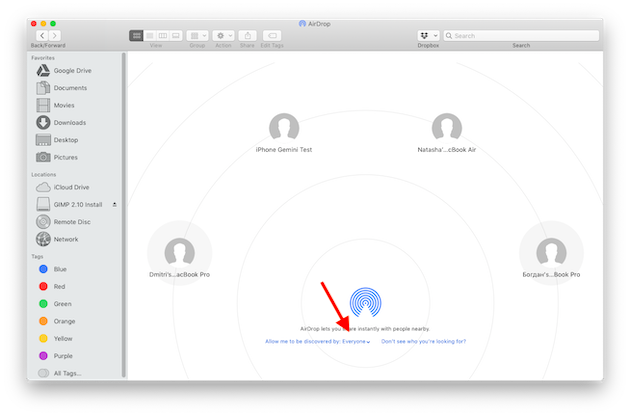 Once you’re done transferring, you can switch off AirDrop on your Mac and iPhone. Whichever method you use, Apple makes it easy to transfer photos and videos from an iPhone to a Mac. Just make sure you move the pics you really need, otherwise you’re just shuffling clutter around.